Point Burger Bar plans to open Dec. 1 in the City of Pewaukee; the company is holding a job fair Saturday to fill about 100 openings. The job fair will be from noon to 4 p.m. at the new location, W229-N1400Westwood Drive. 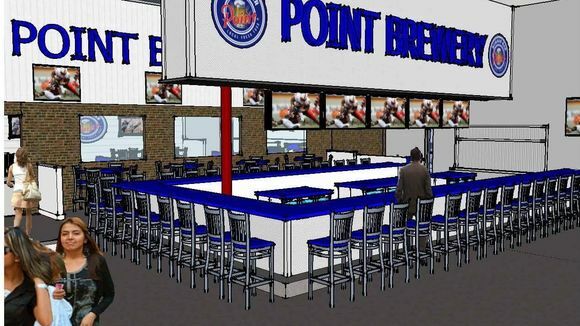 It’s the second location for the burger bar, which has a licensing agreement with Stevens Point Brewery to use Point’s name and pour its beers. The first location opened a year ago at 10950 W. Good Hope Road, on Milwaukee’s far northwest side. Brian Ward, who owns the burger bars, also operates Ward’s House of Prime in Milwaukee and Delafield. The new restaurant is 18,000 square feet, taking up part of a former American TV & Appliance store. It’s next door to the Veloce Indoor Speedway, where customers race electric karts; the burger bar will have a viewing deck that overlooks the racetrack. It also will have a 5,000-square-foot game room and a patio with 150 seats. Besides beef, lamb, turkey and other burgers, Point Burger Bar serves appetizers, salads and entrees, and serves shakes and malts, spiked and unspiked, in addition to beer. DR ANGELA DAVIS, FREEDOM IS A CONSTANT STRUGGLE!